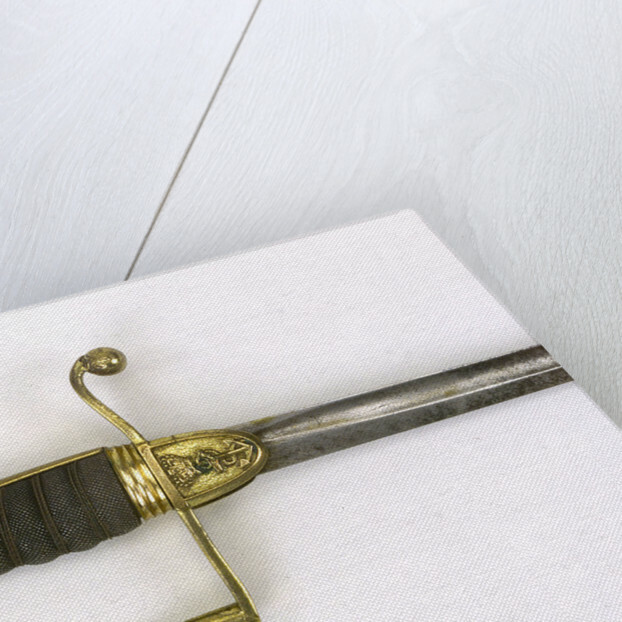 Stirrup hilted dress sword, which belonged to Admiral Alfred Luckraft (circa 1792-1871). 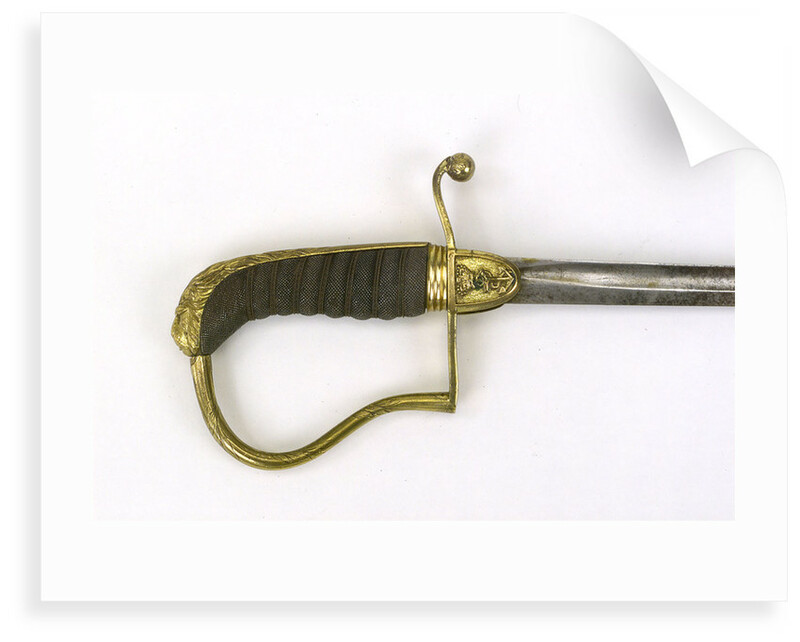 The hilt of the sword consists of a gilt stirrup guard; the langets are embossed with a crown and anchor motif. The sword has a lion's-head pommel and back-piece, the mane extending halfway down the back-piece. 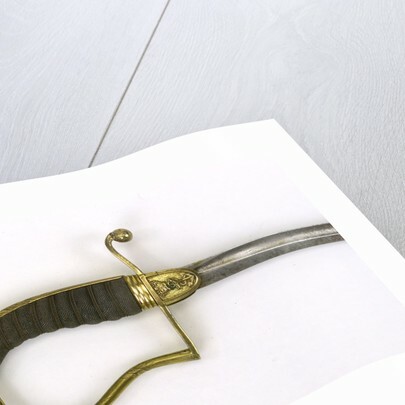 The sword has a blue and gold sword knot with a round tassel with a gold fringe and eighteen gold bullions. An anchor and cable motif is embroidered on each side and executed on a blue ground inside a small oval shield with a cable edge. This was the regulation sword knot for commissioned officers between 1805-1827.